A delicious and nutritious fruit, dragon fruit can be used in producing dye for DSSC. 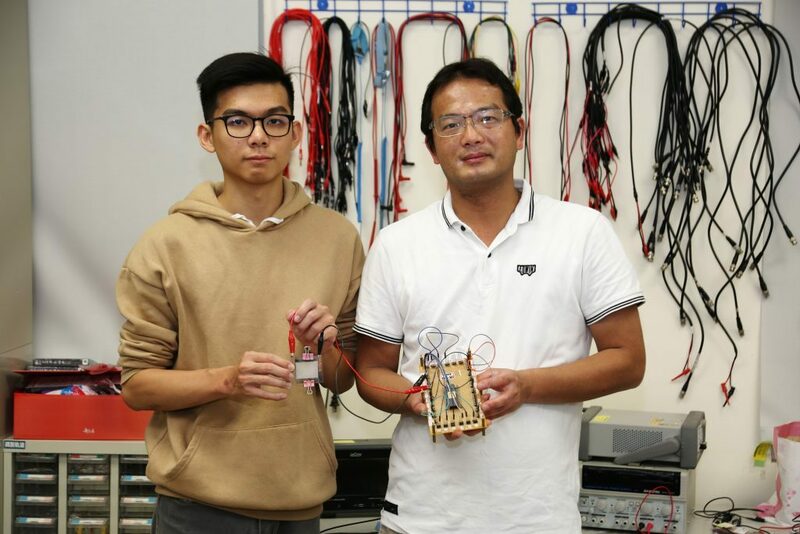 A research team of the National Chiayi University has recently developed a technology using dragon fruit in producing dye for use in the production of dye-sensitized solar cell (DSSC), a breakthrough which has been published in the IEEE Sensors Journal. DSSC is one of several emerging PV power technologies, as substitute for existing silicon PV power, which, despite high conversion rate and dropping cost, has been plagued by a number of defects, notably the complicated production procedure, such as the need of a vacuum and high-temperature (over 900 degrees Celsius) production environment. In addition, silicon sola panel is hard and crisp, while technology for flexible solar panel has been developed. DSSC is a low-cost organic thin-film PV cell technology, employing semiconductors featuring photosensitive electrode and electrolyte. Its electrode utilizes "dye" to absorb sunlight for conversion into electron. DSSC can be produced and assembled in a common environment using such simple manufacturing methods as spraying or printing. It boasts a wide range of applications, including flexible solar panels and wearable devices. At present, DSSC employs synthetic dye, which, despite simple production method and high conversion rate, often results in pollution problem. 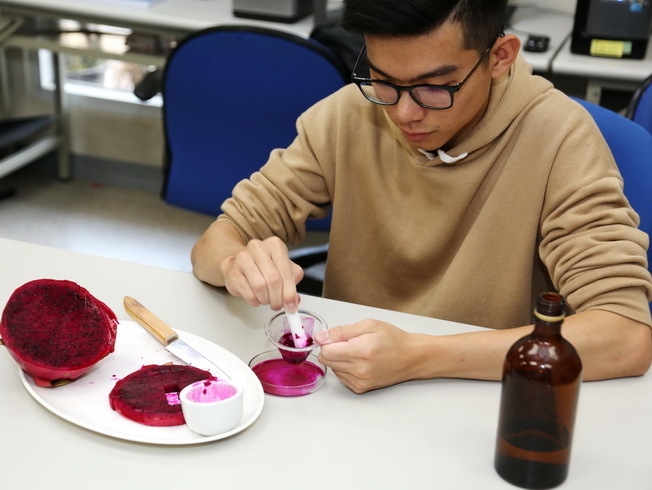 Thus, Chien Liang-yu, a student at the Department of Electric Engineering, the National Chiayi University, conceived the idea of using dragon fruit to produce dye for DSSC. The university's research team found out that noticeable electrode voltage can be attained by putting dragon-fruit dye on conductive glass FTO, according to a press release of the university. The team connected the electrode of the glass to a self-developed highly sensitive conversion chip, thereby creating an organic highly photosensitive solar cell. The solar cell can also detect the intensity of sunlight. Prof. Chiang Cheng-ta at the Department of Electric Engineering, the National Chiayi University, pointed out that environment-friendly compact PV cell will be the future trend. However, at present the conversion rate of DSSC reaches only 8.31%, a bottleneck which needs to be overcome before it becomes a mainstream technology on the market.